Loaded with plenty of performance, this 2.8 litre powerhouse packs a mighty punch. 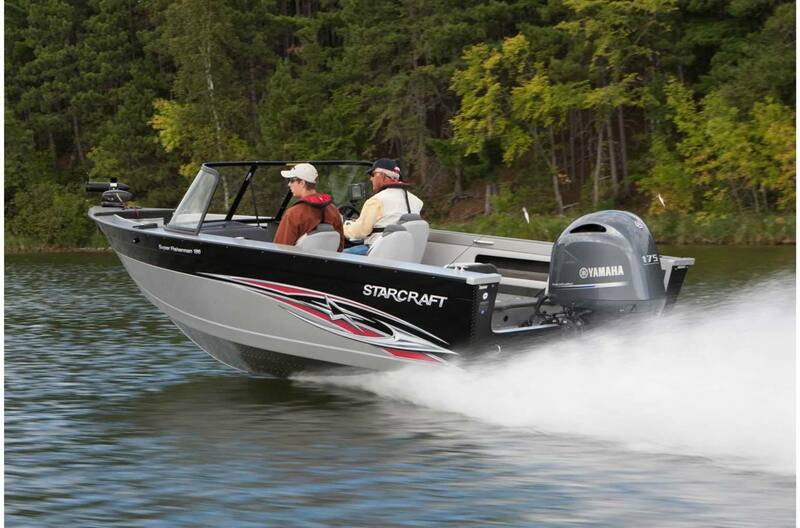 Its in-line four-cylinder design and electronic fuel injection make this outboard nimble, compact and lightweight. Now available in mechanical and digital and electronic control (DEC), the F175 is ready for your next adventure. Shift Dampener System (Sdstm): Yamaha's patent-pending Shift Dampener System (SDSTM) greatly reduces the noise commonly associated with shifting gears. Using a special design and components, much of the force of shifting is absorbed, resulting in far quieter and smoother operation. The F175 comes with the necessary hardware to specify a Yamaha SDSTM propeller. Variable Trolling Rpm Switch (Vts®): Controlled by a Command Link® tachometer, the operator can adjust the engine's trolling speed from 650 to 900 rpm in 50-rpm increments. This helps provide precise and consistent trolling speeds in an array of conditions. Charging Power: With 50 amps of total alternator output, the F175 provides more charging power to accommodate a wide variety of on-board electronic devices. Lightweight & Compact: At 483 pounds, the 2.8-litre F175 weighs 27 pounds less than a 1.7-litre supercharged competitor, and since it's a naturally aspirated EFI engine, less complex. Its in-line four-cylinder design is more compact than competitive V6s, too. Versatile: A great outboard for a wide variety of boats, the F175 is available in mechanical control for easy rigging and repower, as well as digital electronic control (DEC) for those looking for the precision of digital throttle and shift. Powerful: The all-new 2.8-litre F175 uses large intake and exhaust valves for quick response. The DOHC 16-valve powerhead also has a single throttle valve and Yamaha's long intake track for easy breathing. A knock sensor allows the engine to run at peak efficiency and performance at any rpm. Better Charging: With electrical output of 50 amps, the F175 exceeds a popular competitor by nearly 14 percent. It produces plenty of power for keeping up with today's electronic accessories. Convenient: The F175 runs on regular fuel (87 octane). It's also compatible with Yamaha's exclusive Y-COP® theft- deterrent system. Y-COP allows the user to disable the engine's ignition and fuel systems using an electronic key fob. 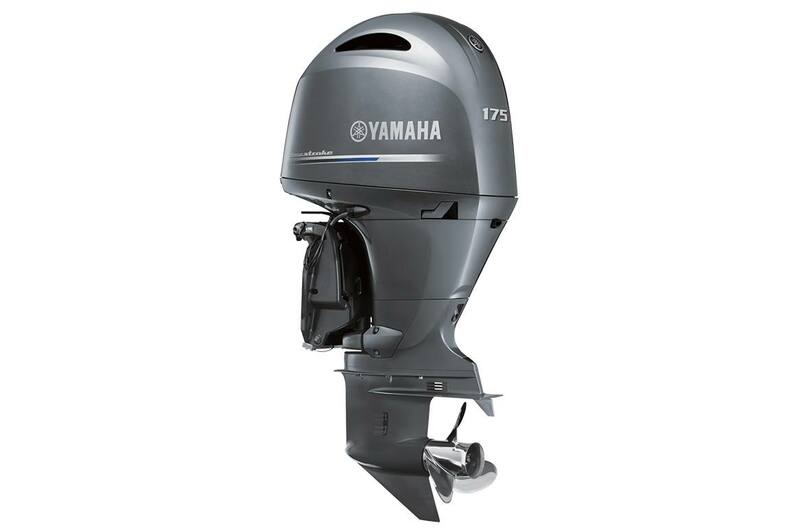 The F175 also has popular features such as Yamaha's Variable Trolling RPM Switch (VTS®). Smooth & Quiet: Yamaha's SDS™ (Shift Dampener System) propeller hardware comes standard with the F175, for smoother, quieter, no clunk shifting when used with Yamaha's SDS propellers. In addition, the outboard employs twin counterbalance shafts and our exclusive long span mounting system for vibration-free, quiet running. 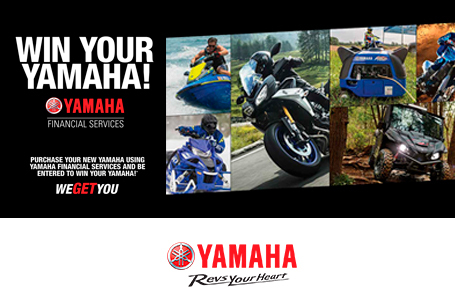 Yamaha Reliability: Based on proven Yamaha four-stroke, marine-specific architecture and years of solid performance, the F175 also uses Yamaha's Phaze Five™ paint process, which includes the electro-deposition of anti-corrosive paint on both the outside and inside passages of the engine block.